Create a flawless finish with the Omorovicza Mineral Touch in ivory. 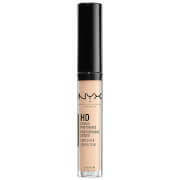 The light yet creamy texture of the concealer works to give you a full coverage throughout the whole day ensuring that dark circles, spots, blemishes, discoloration and scars are hidden. Infused with vitamin C and vitamin E, the concealer not only works to keep unwanted marks covered but it helps to even out your skin tone as well as improving collagen production, leaving your skin feeling toned and supple. 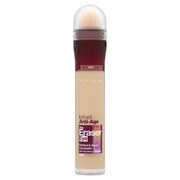 Perfect for giving you that natural glow you have always wanted. A.B. 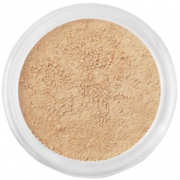 Apply the Omorovicza Mineral Touch in Ivory to the desired areas. Coco Caprylate/Caprate, Mica, Cera Alba, Copernicia Cerifera Cera, Euphorbia Cerifera Cera, Corn Starch Modified, C12-15 Alkyl Benzoate, Ascorbyl Palmitate, Stearalkonium Hectorite, Olus Oil, Tocopherol, Propylene Carbonate, CI77891 (Titanium Dioxide), CI77492, CI77491, CI77499 (Iron Oxides). Receive a complimentary gift when you spend S$110 or more in your order valid whilst stocks last (selection at checkout)*.